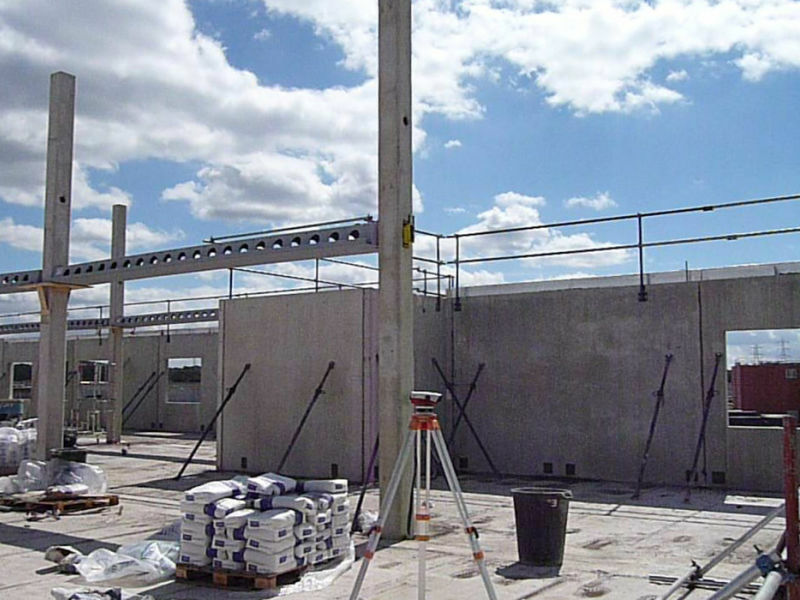 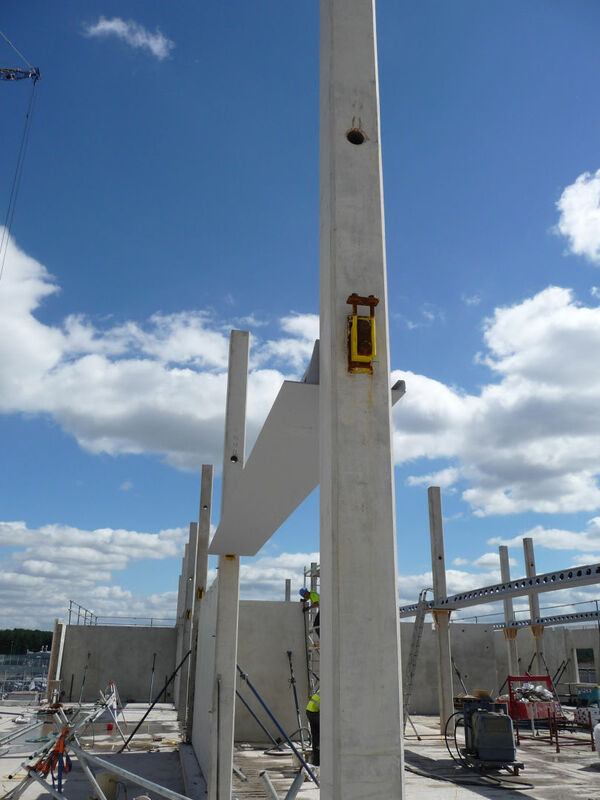 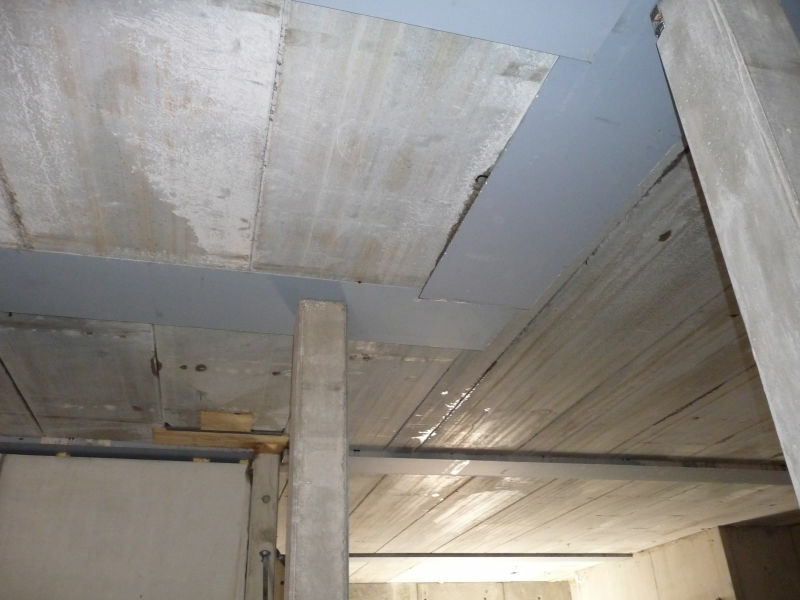 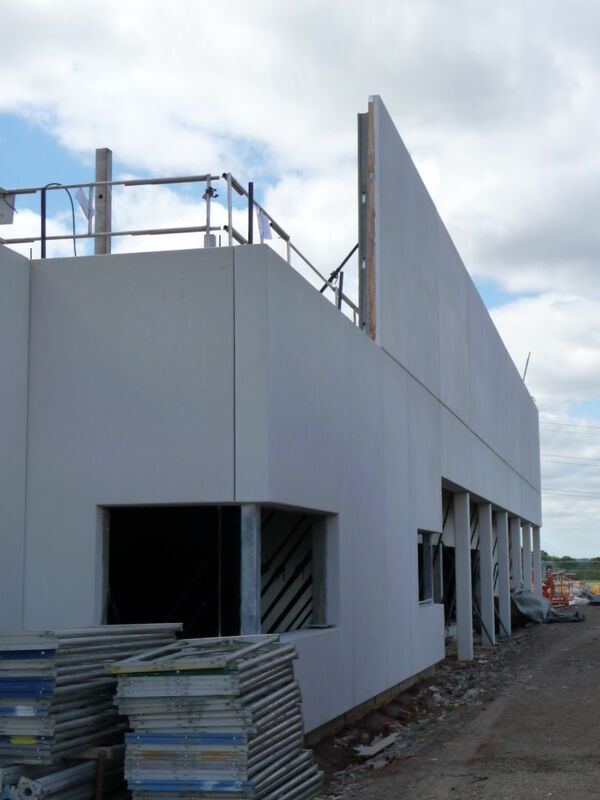 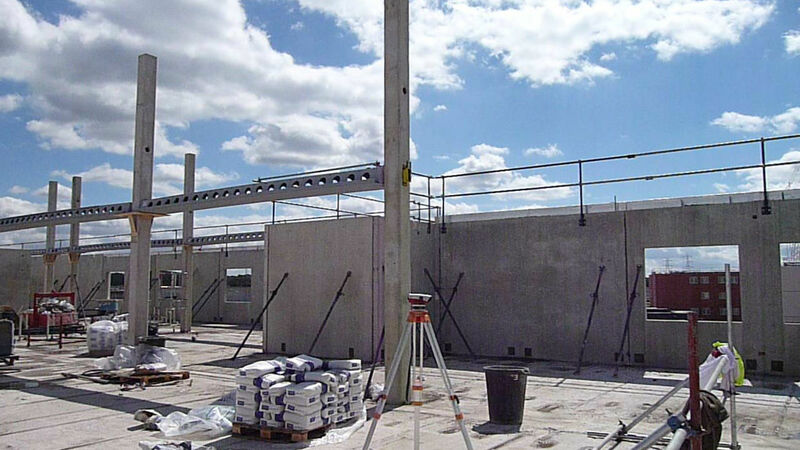 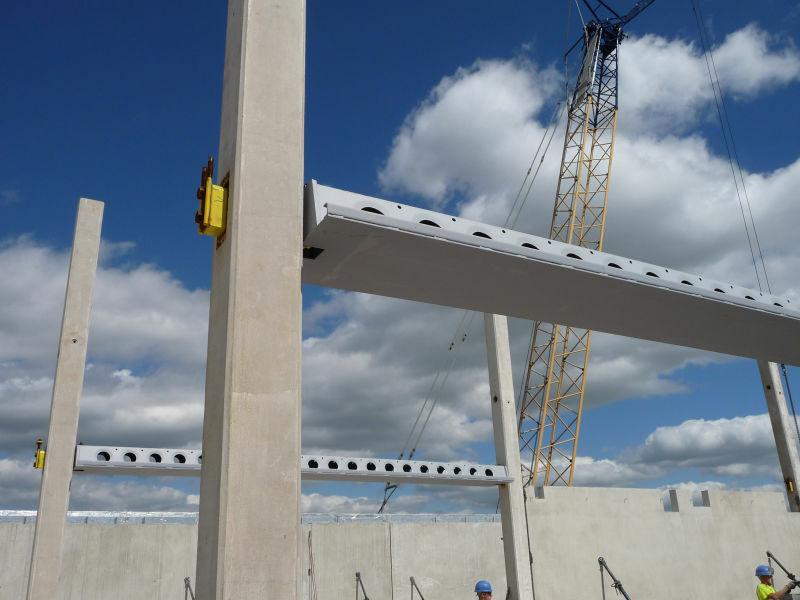 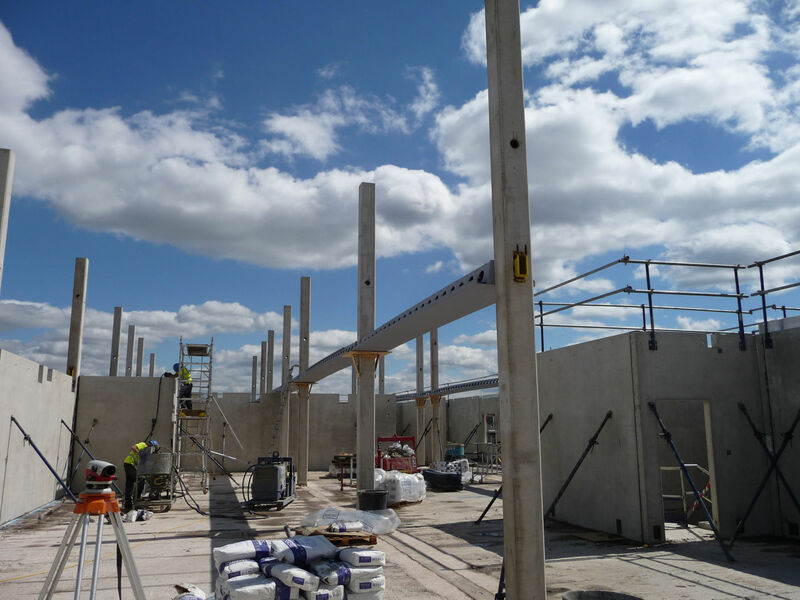 DELTABEAM® and precast connections used to achieve demanding programme, reduce wet trades and increase quality and build efficiency – ultimately producing a robust and durable structure to meet client’s specification that required flat soffit. 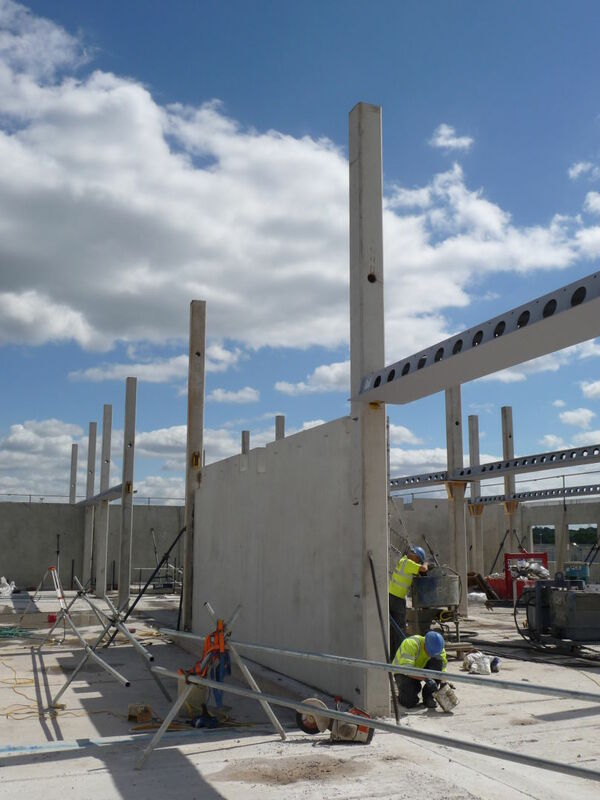 To meet a challenging design, manufacture and construction programme involving some 13,000 precast concrete elements, required close co-operation of design and procurement within supply chain. 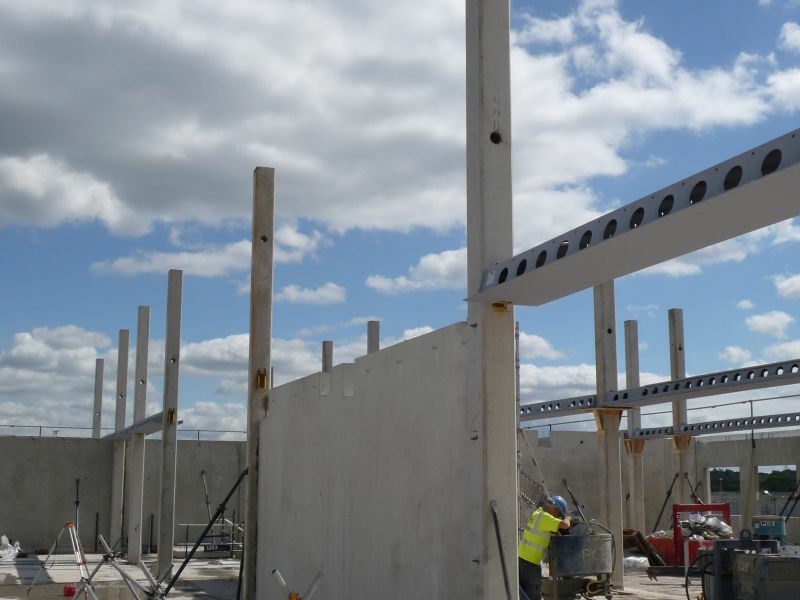 The project involved the construction of 12 precast concrete buildings, including three 480 place four-storey houseblocks, entry buildings, a hospital, an isolation unit, first night facilities and associated buildings, all within a demanding timeframe of just one calendar year. 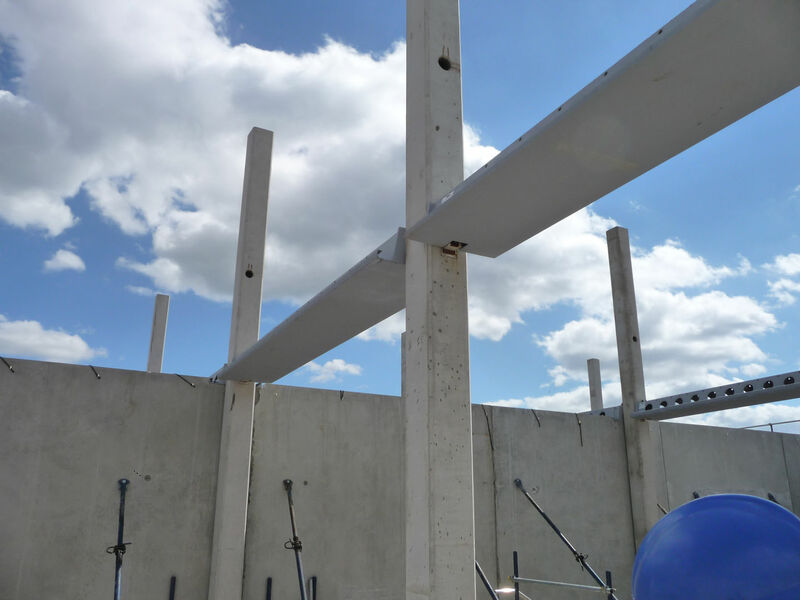 The precast elements have a number of features designed to limit site work to a minimum and speed up construction. 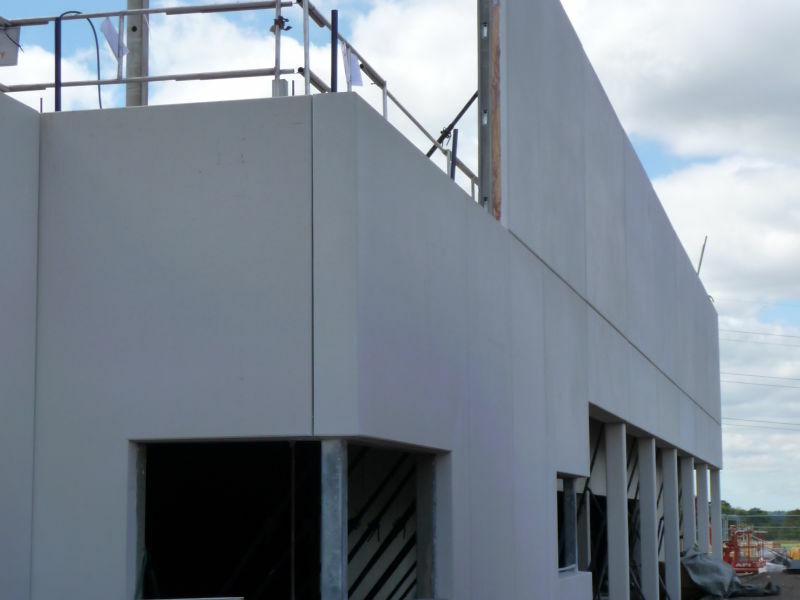 All doors, window grilles and window units were built in at manufacture, along with balustrades, sanitary provisions and drainage. 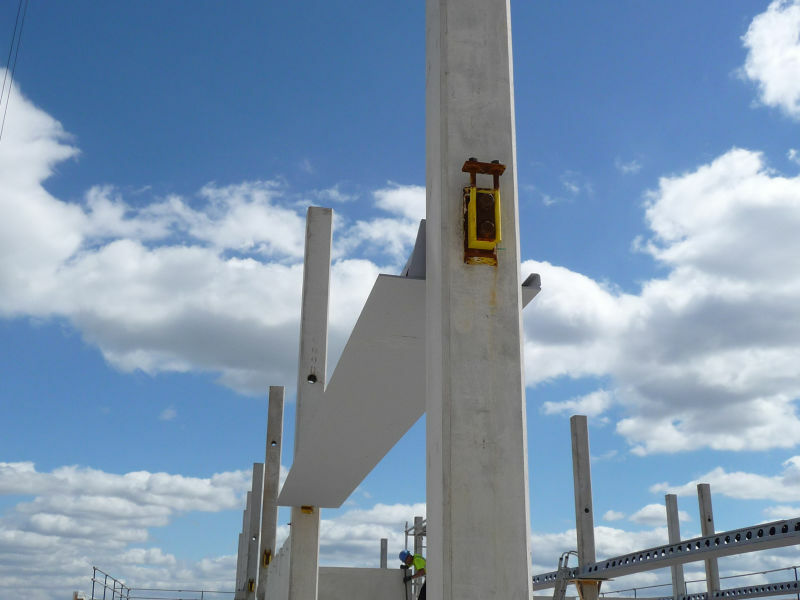 M&E provision was also cast into the units at manufacture, along with other features designed to directly interface with 12 metre service cores installed in all three of the four-storey houseblocks.